Midwest iCrate- Designed completely around the safety, security and comfort of you Dog. 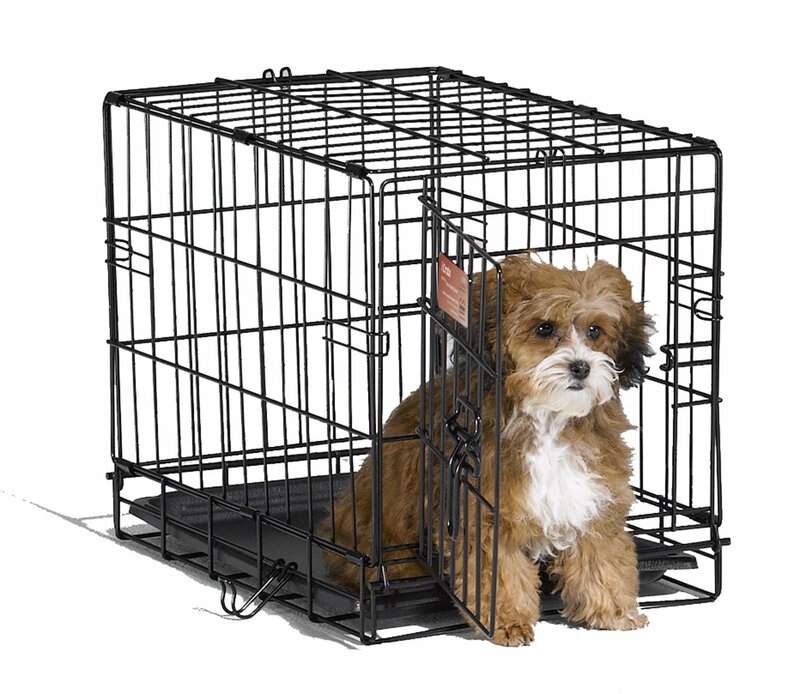 The iCrate Single door dog crate sets up easily with the fold and carry configuration that requires no use of tools and can be completed by almost anyone. The dog crate comes to you equipped with every feature you can think of; a composite plastic pan for easy cleanup in the event of an accident, two plastic carrying handles to move the dog crate from one location to another comfortably, Safe and secure slide bolt latches for the safety and security of the pet inside and the furniture on the outside, and most importantly a Free divider panel for use while your puppy is still growing up. For more information on the why to crate train or how to crate train please visit our "How to Crate Train" section within the site and thank you for interest and business with Midwest Homes for Pets.